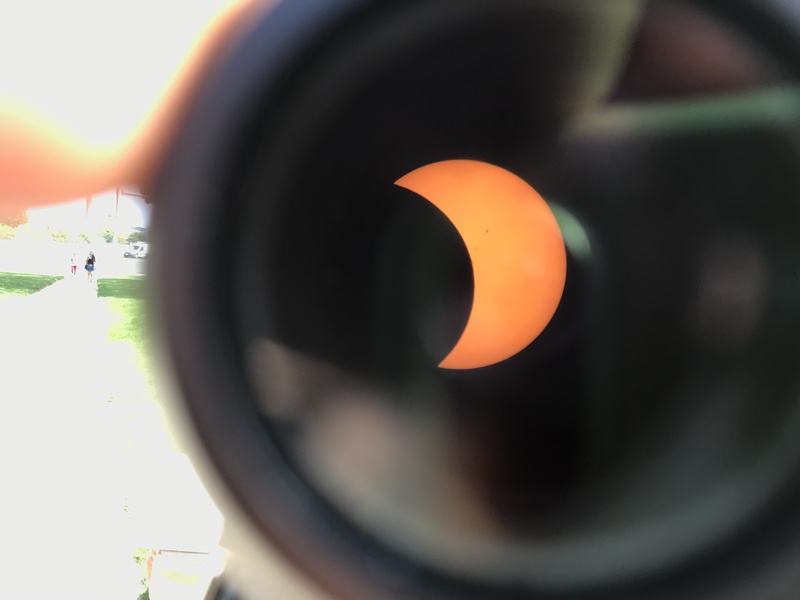 On Monday, August 21, member of LoCSST traveled across the country to view the solar eclipse in an effort to research the phenomenon and get great images to use for the outreach program. Dr. Silas Laycock traveled to Sun Valley, Idaho with a Coronado solar telescope with an H-alpha filter to get images of the eclipse during totality and to test out the new telescope and mount that will be used for the outreach activities. Back in Lowell, I led a viewing party for faculty, staff, and students of uml with 50 pairs of eclipse glasses and an iOptron telescope with an aluminum filter. We had a huge turnout of over 50 people (I had to keep running around for glasses) and it was interesting to hear about why everyone thought it was interesting and why they wanted to view the event. Even though we only had 63% coverage in Lowell, it was still an extraordinary sight to see. Here is one of the pictures taken through the telescope. Hopefully more pictures to come.